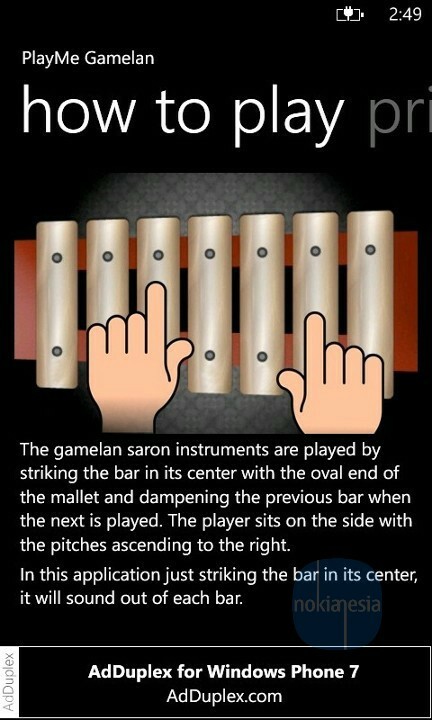 Gamelan, a musical ensemble from Central Java, Indonesia is now goes to Nokia Lumia with Windows Phone 7,5 or Higher. 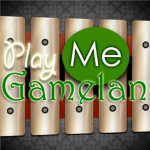 With "Play Me Gamelan" application, you can study and play digital gamelan directly from your Nokia Lumia with Windows Phone. 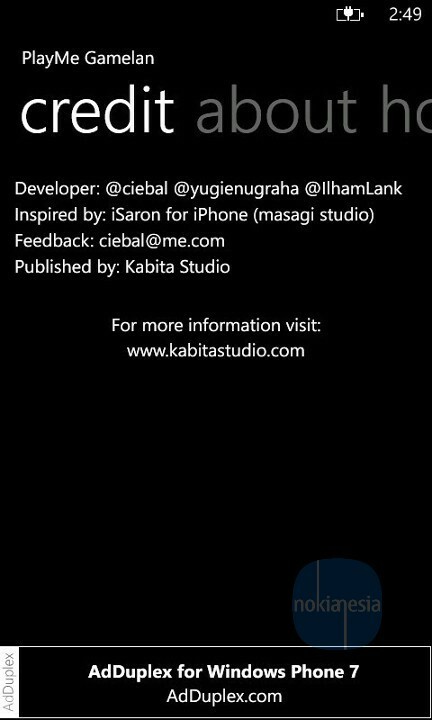 Grab this application for free at Windows Phone Store.
" 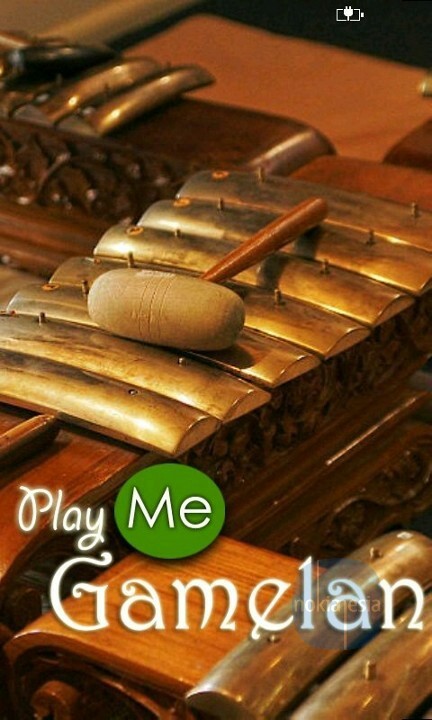 Gamelan is a musical ensemble from Indonesia. 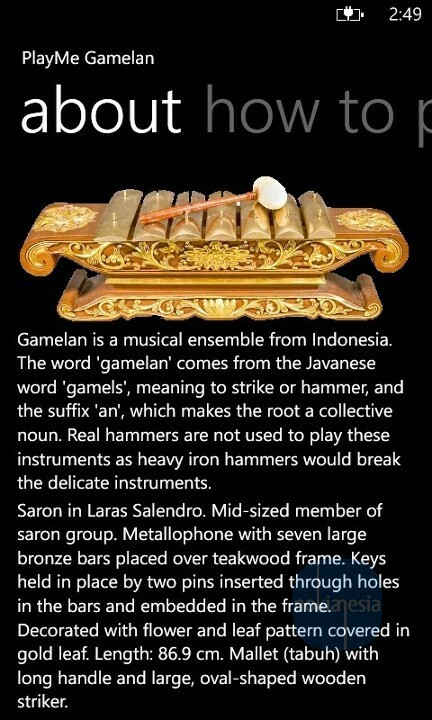 The word "gamelan" comes from the Javanese word "gamels", meaning to strike or hammer, and the suffix "an", which makes the root a collective noun. 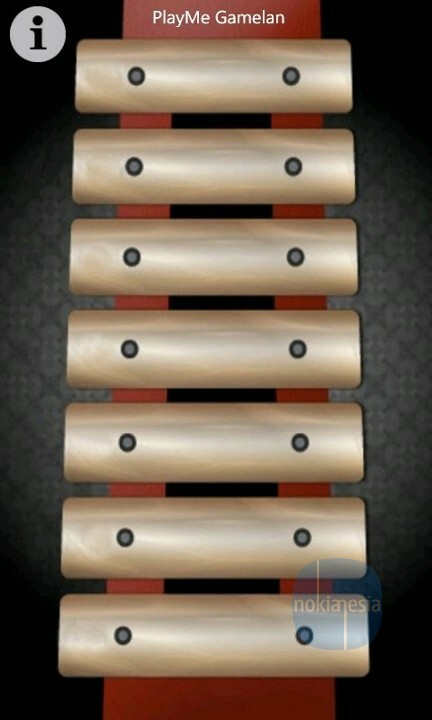 Real hammers are not used to play these instruments as heavy iron hammers would break the delicate instruments."